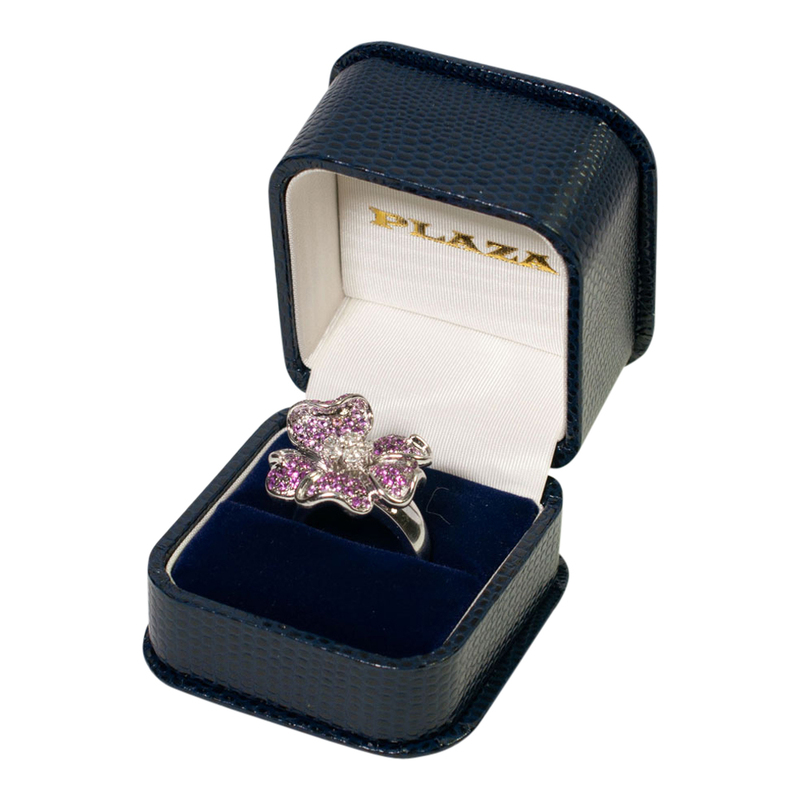 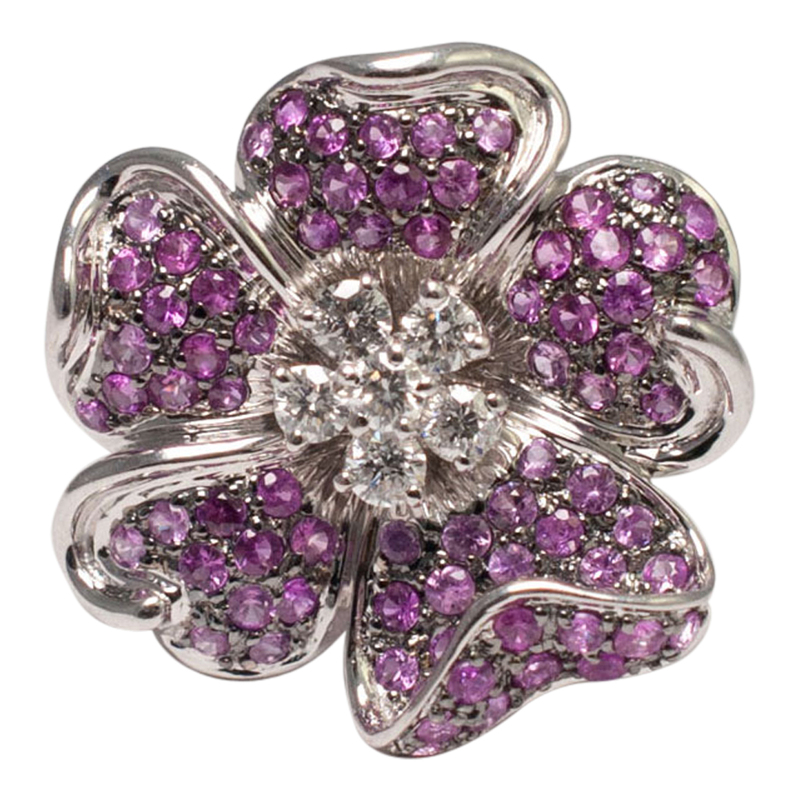 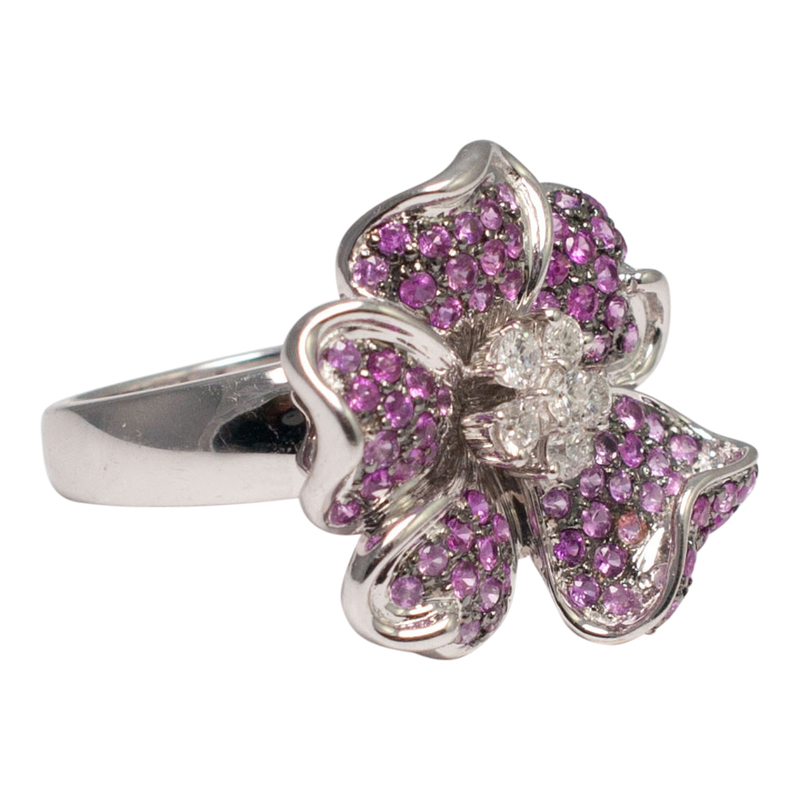 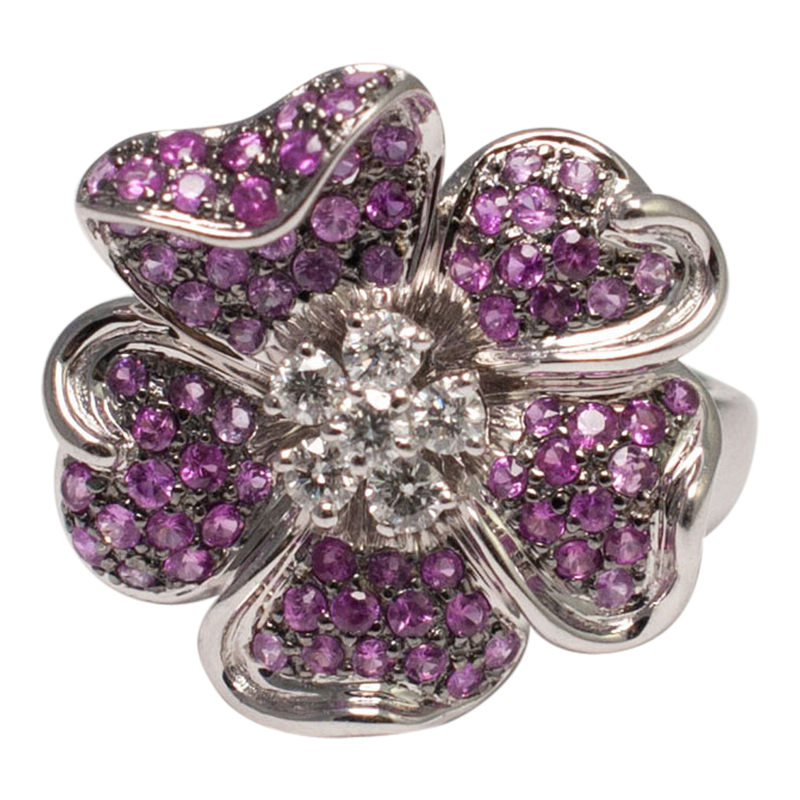 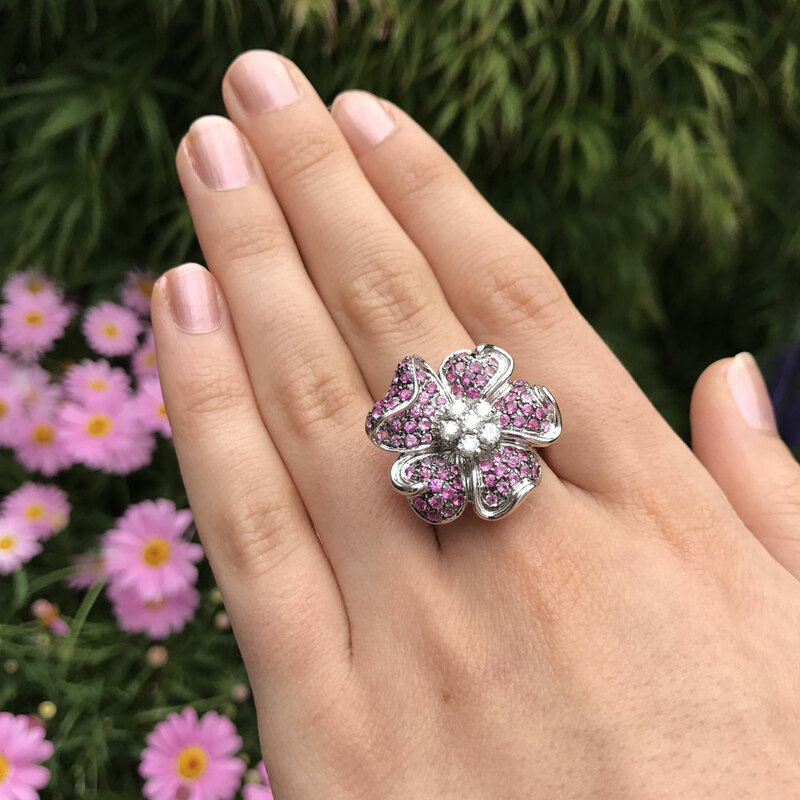 Pink sapphire and diamond flower ring; the sapphires in each leaf are dramatically set in black gold for added effect. 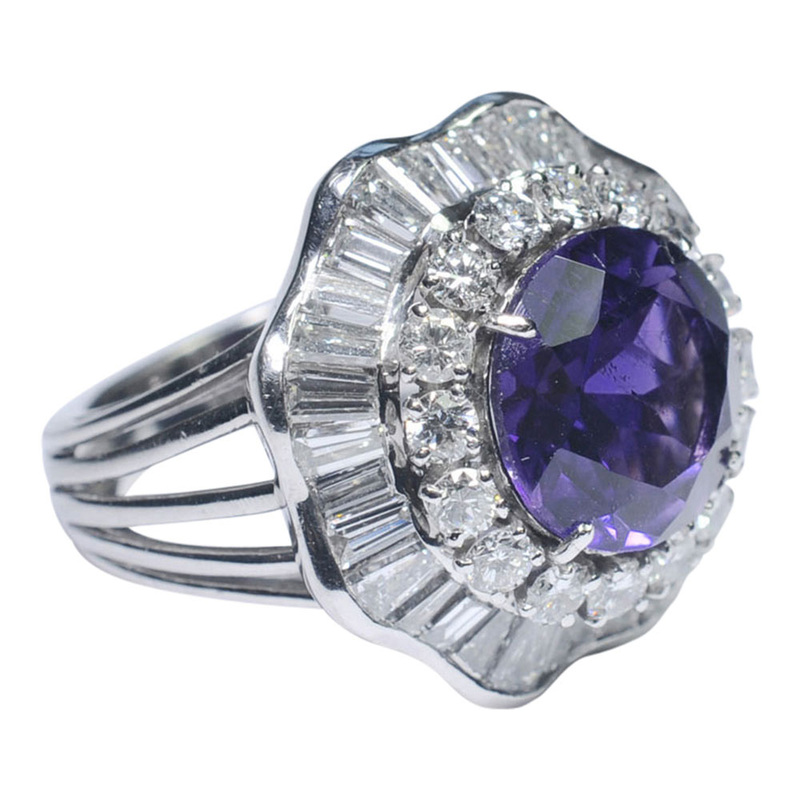 One of the leaves has been set with a slightly drooping effect; total sapphire weight 1ct. 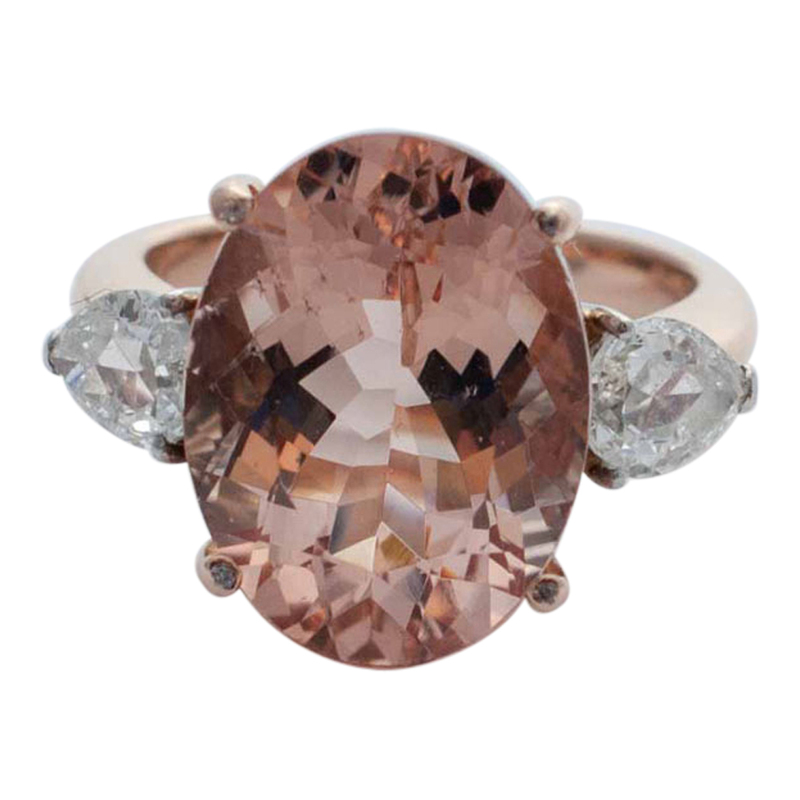 The brilliant cut diamonds in the centre weigh 0.60ct. 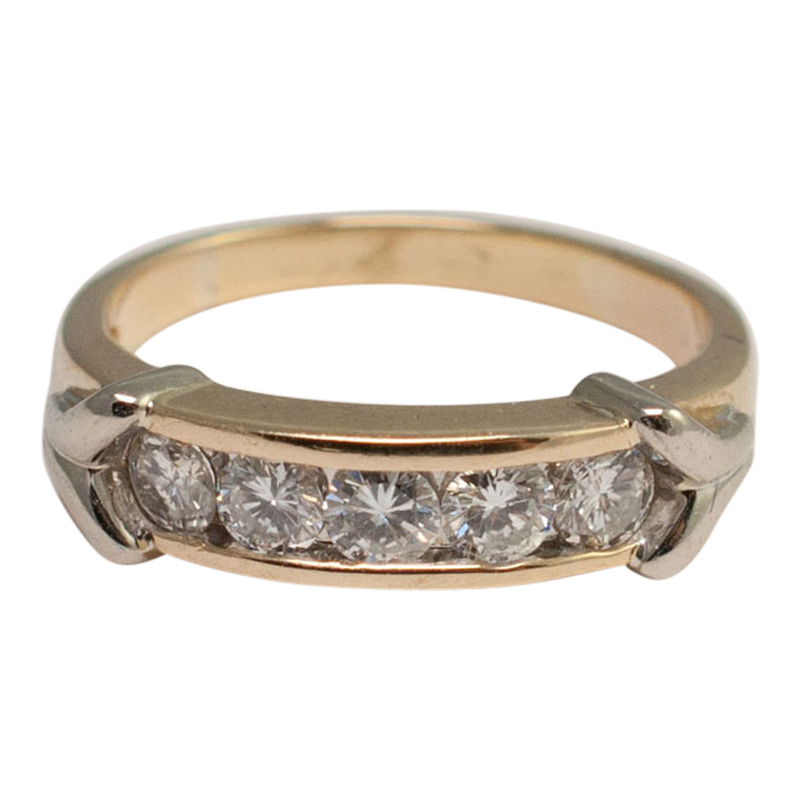 The ring is in excellent condition and is mounted on a heavy white gold band stamped 18k. 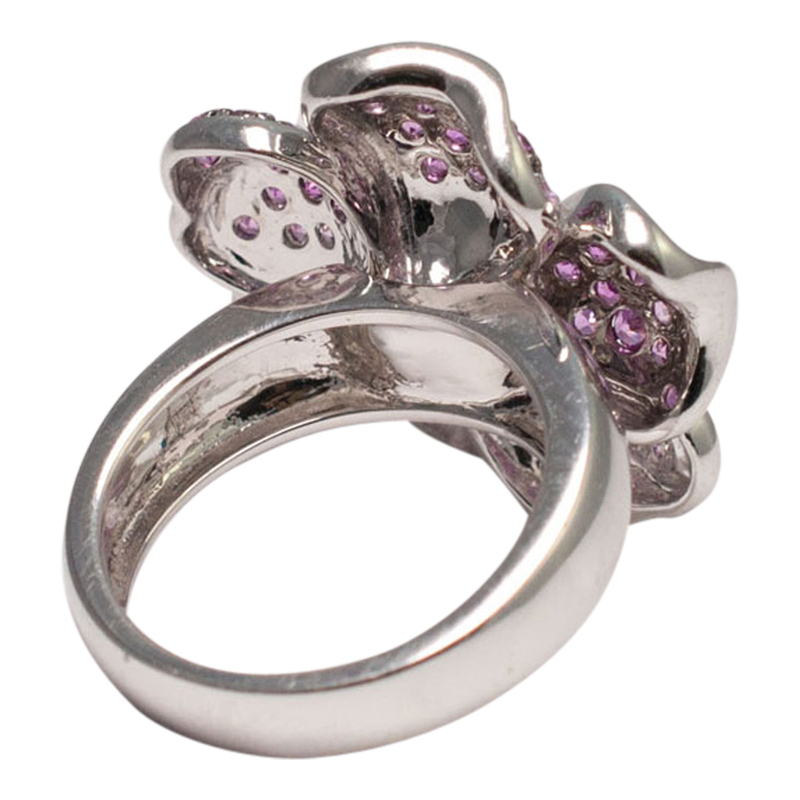 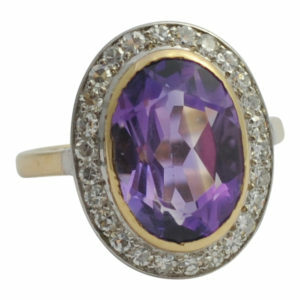 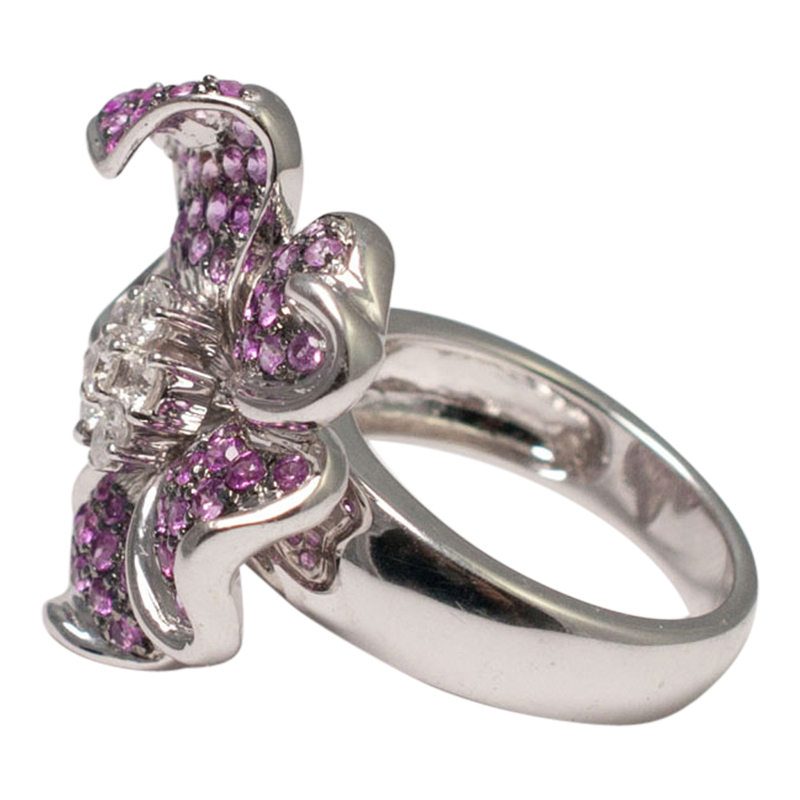 This is a gorgeously feminine ring which really makes a statement. 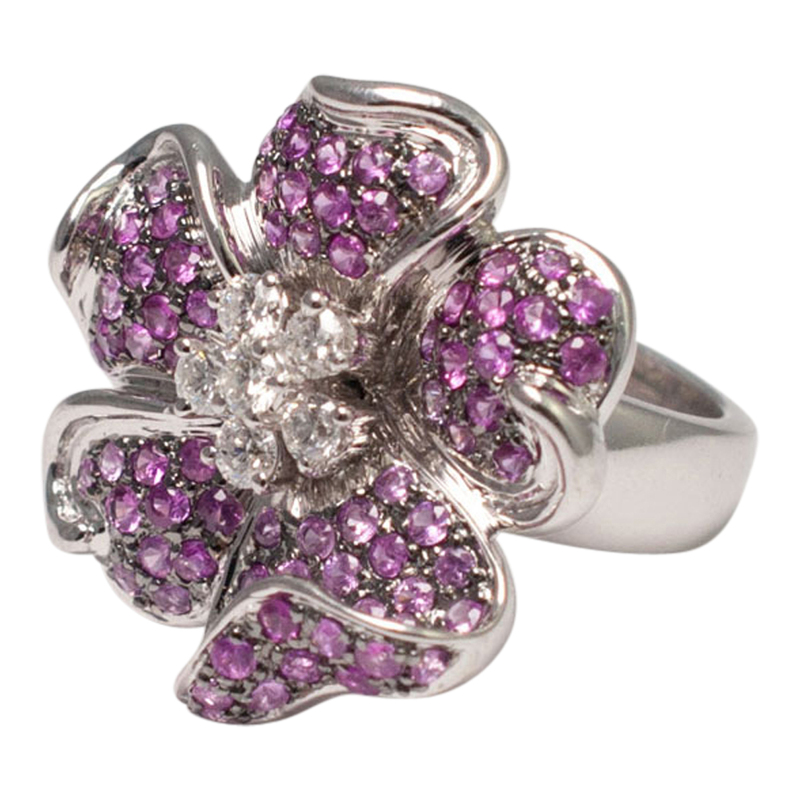 Weight 14.5gms. 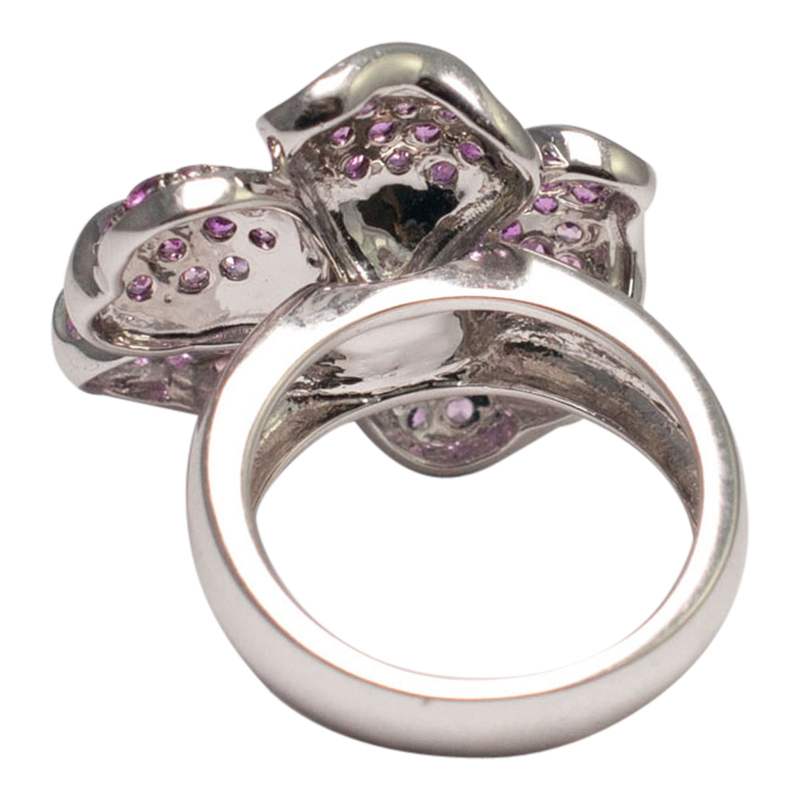 Finger size N1/2 (UK), 7.5 (US), 55 (EU).